As For Football’s College Football Show with your host Rob Wright. 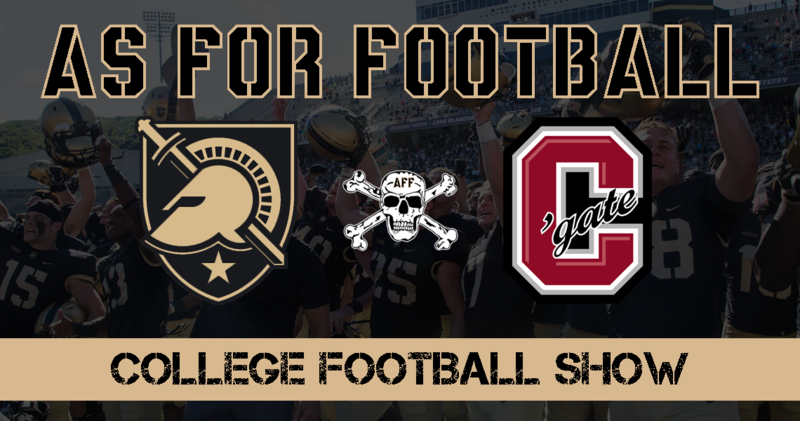 This episode recaps the Lafayette Game and previews Army Football’s second FCS Matchup of the season against Colgate. Special Guest Austin Lachance talks about the creation of Army Navy Spirit Videos. Listen to the show on the embedded media player on our website or through your favorite podcast service. You can also watch the show on our Facebook Page or YouTube Channel.